This week was a very successful week. We had fun and had down time. Kyle had a wonderful accomplishment this week! 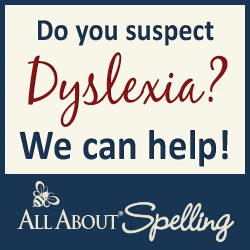 We finished Level 3 All About Spelling!!! WOOHOO!!! See I knew with my word being "intentional" for 2013 I could help him accomplish so much more!! So this was awesome for me on two different levels. One for being intentional about teaching to Kyle and two was the accomplishment of completing something!! Kyle stated Math U See Zeta, which is a Schoolhouse Review. Everyone already knows that my family loves Math U See. Look for my review soon but if you search on my blog you will see Math U See come up several times. This is daddy helping Kyle Thursday with school. I had an early Dr's appointment, since I knew Kevin was home and I was so glad that he helped them. Blessed with a husband that helps with schooling! Kyle is almost finished with 18th century history. Then moving onto 19th century and 20th which I think will only take another month and then we will start some Time Travelers studies! She is moving along greatly in All About Spelling too. I think she is on lesson 23 which again has been a great accomplishment. She's been learning her multiplication easily until we hit higher numbers after 5, which that will just come with practice. I think for about 3 months her understanding them has been good progress. So we have allowed her to do her best and then after I check her work I allow her to use our handy dandy tool. Although our Apologia review is over she is still in love with learning about birds. I think every company that provides reviews enjoys seeing that after the review period is over that the family is still using and loving the item!! I'm happy to say she loves Apologia! My little man has been silly this week. Can you tell by that awesome smile? He's just always full of life. He really loves puzzles but gets frustrated very fast if they get hard! This puzzle was a review of the 12 months of the year that he is trying to learn. Science this week was a little here and there but the main topic was of life cycles. I found some life cycle games on Shepherds Software and he enjoyed them! This was some highlights of our week, of course it's impossible to tell you everything that happened in my house this week. 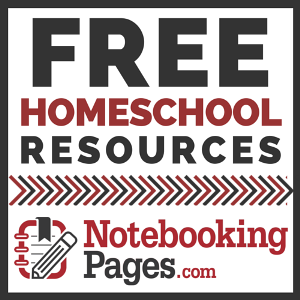 I've linked up to some other great homeschool resources!! Weird UnSocialized Homeschoolers and Hammock Tracks. Completed curriculum...now that is something I get excited about. Thanks for linking up with HammockTracks and I hope you'll return this week. I am featuring you! You guys had a very productive week! I'm visiting from Hammock Tracks. Love that little guy's smile! I'm liking you on FB and GFC! Weekly Wrap Up 24 - Late Yes Again!